Congratulations to Nkiru Drummers winning Gold in Open Orchestras Small Ensemble this year. 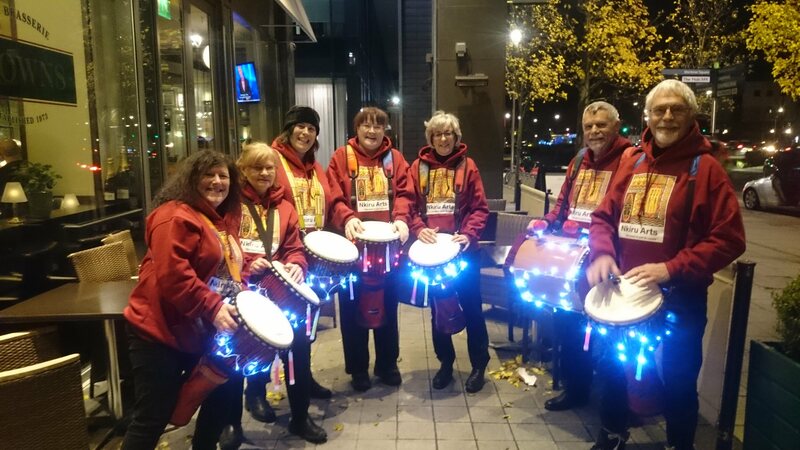 Contact us to Book Our Drummers for your event. In December Nkiru Arts offer a professional Gift Wrapping Service to Local Companies in Milton Keynes. All you need do is book a date and provide a space in your reception, empty office, canteen or meeting room and notify your staff/employees/tenants in advance of our service, they bring in their gifts and we wrap them.